POI 4.0 and later require JDK version 1.8 or later. POI 3.11 and later 3.x versions require JDK version 1.6 or later. POI 3.5 to 3.10 required the JDK version 1.5 or later. Versions prior to 3.5 required JDK 1.4+. The POI build system requires Apache Ant version 1.8 - 1.9.x for Java 1.6 and higher. Newer versions (1.10.x) require Java 8 or higher. Specifically the build has been tested to work with Ant version 1.9.9 and 1.10.1. Remember to set the ANT_HOME environment variable and add ANT_HOME/bin to your shell's PATH. The POI build system requires Apache Forrest to build the documentation. Specifically the build has been tested to work with Forrest 0.90. Remember to set the FORREST_HOME environment variable. jenkins Runs the tests which Jenkins, our Continuous Integration system, does. This includes the unit tests and various code quality checks. Apache POI includes a pre-defined Eclipse project file which can be used to quickly get set up in the Eclipse IDE. In order to get started, first build Apache POI using Ant as described above to get all required 3rd party libraries downloaded. Then import the project in Eclipse via File->Import->Existing Projects into Workspace. Note: when executing junit tests from within Eclipse, you might need to set the system property "POI.testdata.path" to the actual location of the 'test-data' directory to make the test framework find the required test-files. A simple value of 'test-data' usually works. We currently do not offer project files for IntelliJ and unfortunately it cannot import the project from the Ant build files. Then import the main folder into a new project and then define all the source folders under src accordingly. Also add all libraries from the lib, compile-lib and ooxml-lib folders. Note: when executing junit tests from within IntelliJ, you might need to set the system property "POI.testdata.path" to the actual location of the 'test-data' directory to make the test framework find the required test-files. A simple value of 'test-data' usually works. 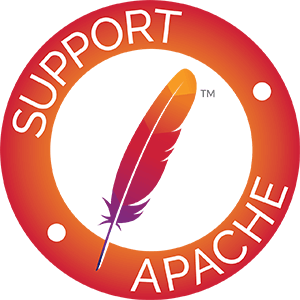 Building Apache POI using Maven is not currently officially supported, and we strongly suggest continuing to use the official Ant build. However, including Apache POI within your own Maven project is fully supported, and widely used. Please see the Components Page for details of the Maven artifacts available.